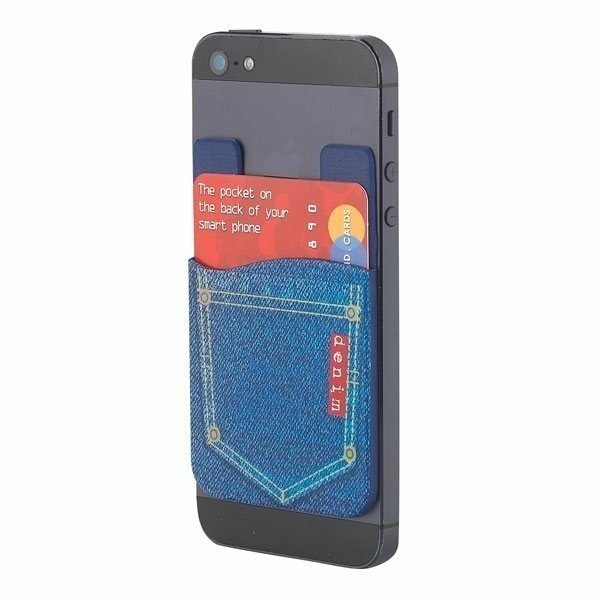 Silicone wallet with full bleed denim background. Sticks to the back of all smartphones. Securely holds up to 3 credit cards,a driver's license or business cards. this is just what we were looking for. The logo/picture came out just as it was designed. My personal favorite. It's the standard you anticipate! All in all, I was satisfied with what I ordered.